In a recent report published on the UK Government website gov.uk, the number of Japanese tourists visiting the UK in 2019 is expected to grow to new record levels. This means that UK businesses will need to be prepared for the range of Japanese translation services to help encourage the tourists to their business. These Japanese translations will be particularly useful for the hotel and leisure industries, for London and beyond. As part of the research into Japanese tourists visiting London and the UK, it highlighted that culture is amongst the main attractions for tourists from Japan. These include attractions such as museums and art galleries whilst also enjoying extended sightseeing such monuments, historic buildings and visiting castles. Japanese translations helping to explain the details of each attraction could be made available, with the potential to include both online and offline versions. 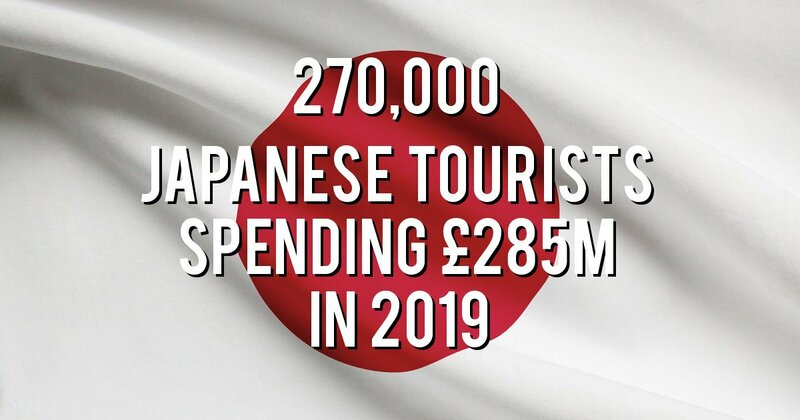 With the number of visitors from Japan expected to reach 270,000 and an estimated spend of £285m for 2019, the incentive for businesses to help their new customers is clear. As the number of Japanese tourists increases, they are naturally being viewed as a highly important market sector for the travel industry. This provides an opportunity for hotels in London and across the country boost their customer numbers by offering their Japanese visitors a translation service, and providing translated literature highlighting local points of interest and travel guides, but also reviewing their overall offering to the Japanese tourist market. Here at Romo Translations, conveniently based in London, we are on hand to support our customers with all their Japanese translation requirements. We have expert Japanese translators available to provide hotels, B&Bs and restaurants, both locally and nationally with accurate Japanese translations for their guests. If you’re looking to improve your Japanese translation offering, we would be delighted to hear from you. Please contact us on 0203 696 8680.